Chelsea legend on Chelsea's form so far this season - What’s happening now is normal. This weekend we welcome back Premier League football after yet another international break and a Chelsea legend has had his say on where Chelsea find themselves in the Premier League at the moment. After a good win against Manchester United in our last Premier League game, our third victory in the league in a row, we head to West Brom this Saturday afternoon looking to close the gap on the pacesetters Manchester City and to try and overhaul the likes of Manchester United and Tottenham. 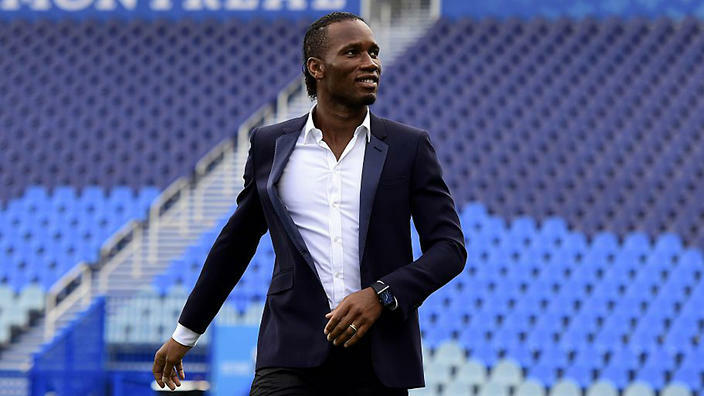 Didier Drogba (more on him later) has been speaking of Chelsea's start to the Premier League season and our first eleven games so far and has spoken of the players struggling to come to terms with playing every three days compared to games virtually once a week last time around. "What’s happening now is normal. Two years ago, they were on the brink of relegation. Last year, with one match a week, everything went well. The coach came in with drastic methods and the club became champions again. But most of the players have never been further than a Champions League quarter-final or semi-final for a while. You have to get used to matches every three days again, get used to the demand for results, which is permanent, to the intensity. You have to be at your best every day, which isn’t easy" Source: Metro. Drogba is right and many points here. First and foremost playing for Chelsea (which we can now happily state is one of the biggest clubs in the world) you have to be at your best or somewhere near your best because you are judged on every single performance. You deliver a fantastic performance and result then you will receive praise, you play badly and we all know what to expect from the British press. Drogba also makes a valid point of playing every three days. Last season we brushed off any form of comment being made by those managers who had to tackle European football in addition to the domestic competitions. I stated on record that I personally felt that Antonio Conte and his players would not receive the full credit or plaudits for what they achieved last season because of that fact. They would only be judged on how they performed being back in Europe this season. I guess it does take some adjusting as players but also as the manager. You do not have the same amount of time to prepare the next game. You do not have time to work on tactical things, different aspects of the game and for the players to study their opponents in depth so almost second guess how things are going to play out on a match day. Added to that the pressure of getting the results and the intensity of the competition takes its toll as look what happened in Rome for example. I've posted up in the past few days a reminder for those people in the press and media who like to focus purely on the negative with Chelsea of the problems we have had to face this season so far and it's worth having a read here. I am more than happy with the position we are in heading into this weekends games. A good run of results through and past Christmas/New Year and we will take a look to see where we stand. The message from Didier Drogba is do not panic, this is normal and I agree 100%. Do you?